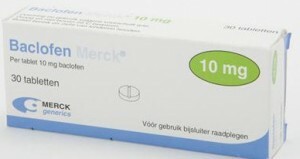 Common name brand versions of this medication are Lioresal and Kemstro; they are prescribed as oral or injectable medications depending on the severity of the condition to be treated. Baclofen works by blocking the nerve activity in the brain that is responsible for controlling the contraction and relaxation of the skeletal muscle. Baclofen should be taken exactly as prescribed and should not be taken in larger or smaller doses then recommended. Your doctor will evaluate you throughout treatment to monitor your tolerance as well as the drug’s effectiveness on the condition it is treating; dosage adjustments may commonly occur to ensure maximum benefits are being obtained. You should notify the doctor if your muscle symptoms do not improve after you have been taking baclofen for 2 weeks as you may require a different dosage or new type of medication. 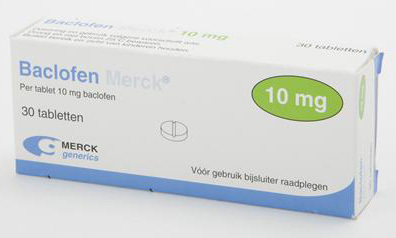 Baclofen is used to treat the muscle symptoms commonly associated with multiple sclerosis or spinal cord injuries such as stiffness, pain, and spasms. It works by relaxing the skeletal muscles that move the skeleton. Oral doses of this medication usually start at 5 milligrams given 3 times per day; a gradual increase of the dosage may occur as the patient’s tolerance and the drug’s efficacy are evaluated. In cases of severe muscle spasticity, baclofen can be injected directly into the spinal cord. Certain medical conditions may require a dosage adjustment or special tests to ensure you can safely take this drug.